Hey, congratulations! I am an illustrator and animator and find the app quite interesting. 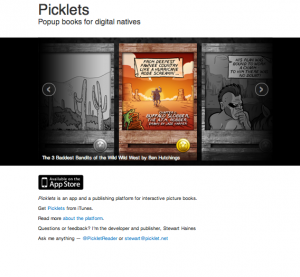 I am interested of making an own picklet and have also forwarded the App to collegues who had been looking for a possibility to publish interactive comics for IPhone/Pad.